This volume collects research papers addressing topical issues in economics and management with a particular focus on dynamic models which allow to analyze and foster the decision making of firms in dynamic complex environments. The scope of the contributions ranges from daily operational challenges firms face to strategic choices in dynamic industry environments and the analysis of optimal growth paths. 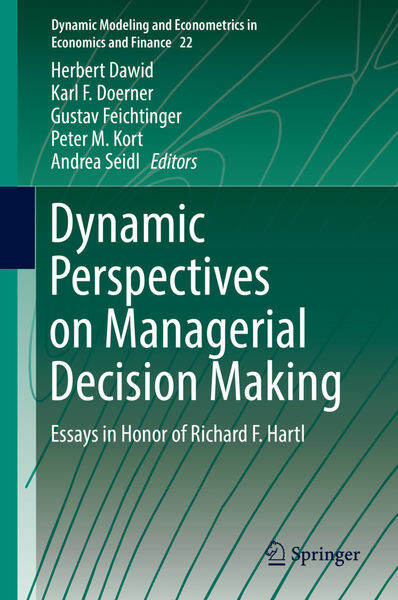 The volume also highlights recent methodological developments in the areas of dynamic optimization, dynamic games and meta-heuristics, which help to improve our understanding of (optimal) decision making in a fast evolving economy.